Everybody loves to drum! It's the one activity my students beg for each and every year! 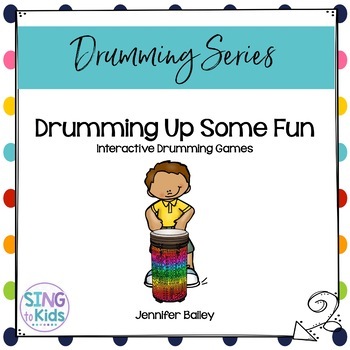 Drumming Up Some Fun is an Interactive Drumming Game that gets kids playing, reading rhythms, improvising and jamming! 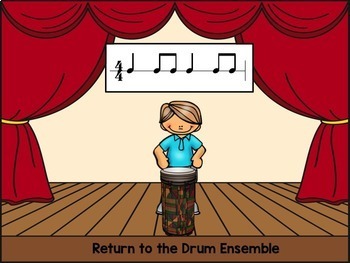 Just click on a student or a drum to play! 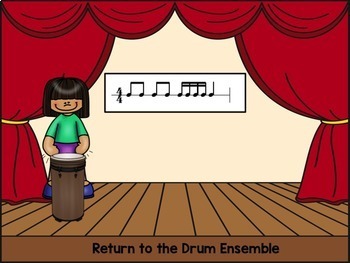 • Game one includes 4 beat patterns with quarter notes, eighth notes and quarter rests. • Game two includes 4 bat patterns with quarter notes, eight notes, quarter rests, and sixteenth note combinations.